I was quickly scanning through my favorite blogs and such last night and saw this map posted at Wired Science. For a half a second I thought I was looking at a new geologic map, but it is actually a map produced by the USGS’s Gap Analysis Program (GAP) showing ecosystems. Check out GAP’s website to dive into the data and learn more. 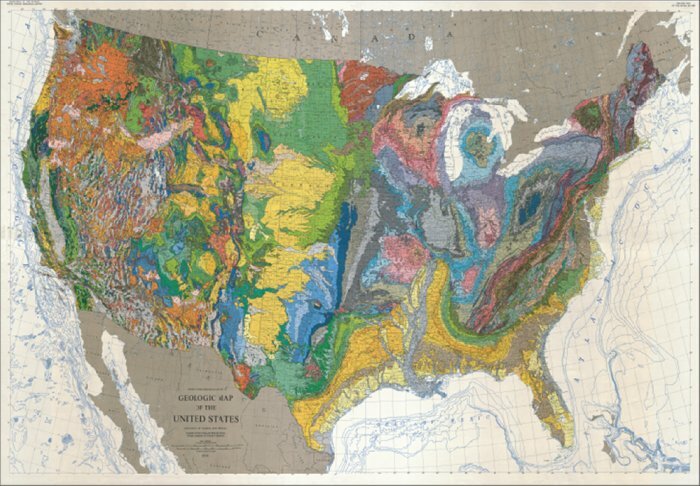 For comparison, here’s a geologic map of the lower 48 states.